On June 20, 2017, Shim Won Hwan went on a special trip after he was re-elected for the position of Samsung Vietnam’s general director. He visited three Vietnamese enterprises, including Thanh Long Electronic Production Joint Stock Company in the northern province of Bac Ninh, Hanel Plastics Joint Stock Company in Hanoi's Sai Dong, and Vietnam HTMP Mechanical Co., Ltd. in Hanoi's Me Linh. Since 2015, when Samsung officially started its consultancy and support programme for Vietnamese enterprises wishing to take part in Samsung’s supply chain, every year, Samsung’s general director has been visiting such enterprises. However, this was the first time for Shim Won Hwan. Also, this was the first time a PCB (Printed Circuit Board)manufacturer was on the list of enterprises to receive support from Samsung. It means that Korean giant now supports a firm in the hi-tech industry, instead of supporting packaging and mould manufacturers only, as it used to do in the past. “By providing consultancy and support to a hi-tech enterprise, we help Vietnamese enterprises to manufacture more complex parts and join a higher value chain in the future. This is a strong promise of long-term sustainable investment in Vietnam,” Hwan said. At the beginning of April this year, Samsung officially announced that it would offer consultation to enterprises in the hi-tech industry in its consultancy programme. This move is aimed at kitting out Vietnamese enterprises to be able to manufacture complex electronics by high-technology with high added value. In 2017, Samsung is expected to offer consultation to 12 local supply enterprises, increasing the total number of businesses having undergone the programme to 26 since 2015. 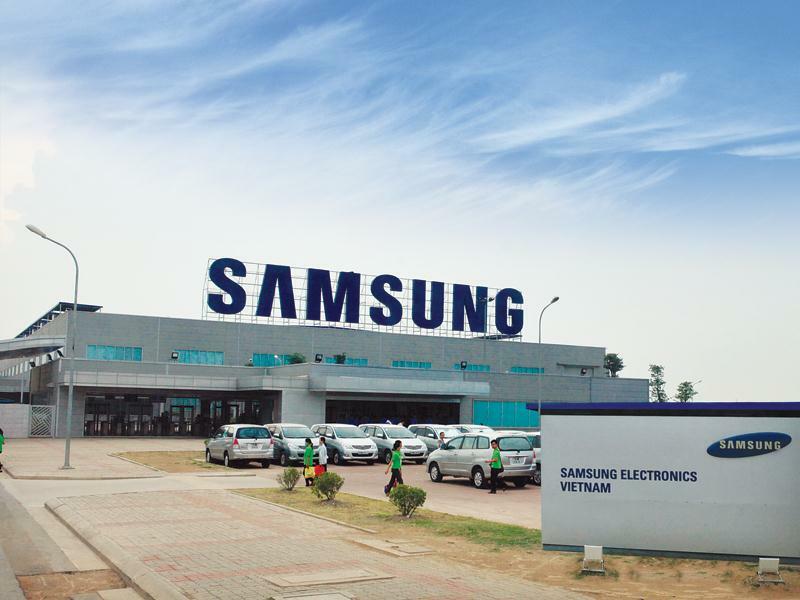 Notably, this will be the first time Samsung subsidiaries Samsung Display Vietnam and Samsung Electro Mechanics Vietnam have taken part in this programme as consultants for Vietnamese supply vendors. Moreover, Tier 1 suppliers will support Tier 2 and 3 ones. “All of these changes demonstrate Samsung’s promise to boost localisation, support enterprises that wish to join Samsung’s supply chain, and contribute to the development of supporting industries in Vietnam,” Hwan said. Whether the three enterprises visited by Hwan can become Samsung’s suppliers depends on their efforts. However, this visit may prove an invaluable opportunity for them. One cannot deny Samsung’s efforts in developing its Vietnamese supply chain and that it has contributed to the Vietnamese economy a lot. However, support from only Samsung is not enough for the Vietnamese economy to flourish. Dang Huy Dong, Deputy Minister of the Ministry of Planning and Investment, in the midterm Vietnam Business Forum (VBF) this year said that the Vietnamese economy is like a vehicle which cannot run smoothly with only a wheel of foreign invested enterprises. Instead, it needs all components to align. “Thus, currently, strengthening the linkage between foreign invested and domestic enterprises is important,” Dong said. This was not the first time this matter has been mentioned. Regarding the weak connection between foreign invested and domestic enterprises, many experts worry that foreign invested enterprises may flourish much faster and may dominate their domestic counterparts. When talking about this problem, Hiroshi Karashima, chairman of the Japan Business Association in Vietnam, said that to enhance Vietnam’s attractiveness as a manufacturing economy, it is necessary to enhance the industry environment to raise added value. “It is necessary to create more supporting industries by supporting the development of small- and medium-sized enterprises,” Karashima said. Also, he said that to facilitate the development of supporting industries, some Japanese SMEs should transfer technology to Vietnamese companies. “Component suppliers should improve their quality, production capacity, and administration capacity, cut down on expenses, and obey international laws and regulations. Foreign invested enterprises should provide their suppliers with detailed guidance as well as publish their criteria of picking suppliers with the aim of supporting potential suppliers in Vietnam,” Wail A. Farghaly, head of the Automotive Working Group in VBF, said. According to the General Statistics Office of Vietnam, as of May 15, 2017, the country’s total import-export turnover was nearly $142.41 billion, an increase of 21.3 per cent compared to the same period last year. Of the total, the export turnover was nearly $69.7 billion, an increase of 17.6 per cent compared to the same period of 2016. The export turnover of mobile phones and components was nearly $14 billion as of May 15, 2017, 12 per cent higher than in the corresponding period of 2016. In April 2017, the export turnover of mobile phones and components was $4.38 billion, a record high in Vietnam. This hike originated from Samsung’s new Galaxy S8 and Galaxy S8+. At the end of 2016, the Samsung Galaxy Note 7 incident involving exploded batteries led to a decrease in Vietnam's mobile phone and components exports for the first few months of 2017. In particular, in the first quarter of 2017, exports in the sector were $7.4 billion only, a reduction of 10.7 per cent compared to the same period in 2016. In your speech at the launching event of Kahuna you called HTP “The company that first brought Vegas to Vietnam.” Does this mean that the Ho Tram Strip is going to be of a much larger scale than an integrated resort? What are you planning for the development? Absolutely, we are an integrated resort located on approximately 164 hectares, with 2.2 kilometers of pristine beachfront. 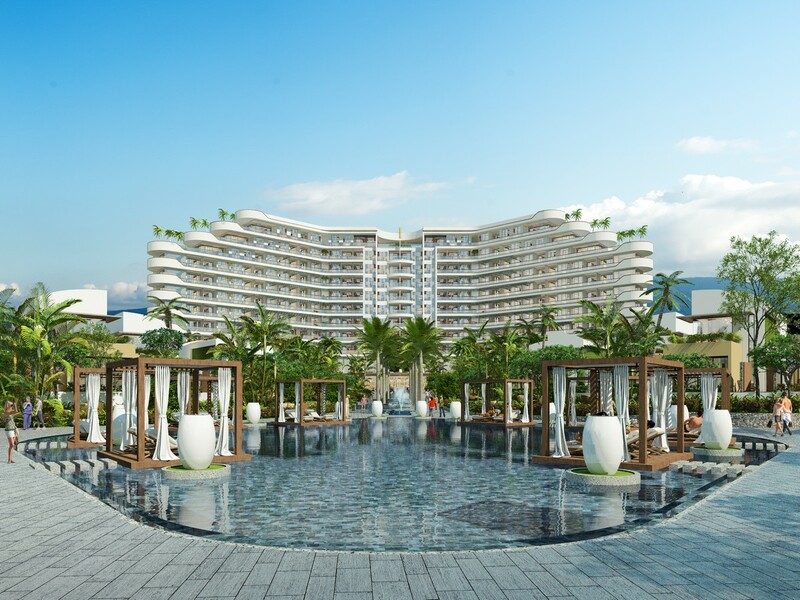 The Grand - a 541 room five-star luxury resort with 11 eleven food and beverage outlets, convention facilities, and numerous entertainment facilities, is the most awarded resort in Vietnam. It was recently named the Number One Luxury Hotel in Vietnam—and it is now expanding. The Beach Club, now under construction, is a 559-room hotel which will be connected to The Grand and will contain numerous entertainment amenities, including a 2,000-person amphitheater and a waterpark. The Beach Club is rising quickly. When completed, the Grand will have a total of 1,100 rooms, making it one of the largest hotels in Vietnam. The Bluffs Ho Tram Strip, our Greg Norman-designed course, is the most acclaimed golf course in Vietnam and is ranked number 74 th in the world. We are also currently developing the Gallery Villas at The Bluffs, a luxury residential complex. Currently numerous villas are under construction. And if that was not enough, on June 15, we launched Kahuna. Located on the beachfront, Kahuna is a condotel offering both condominiums and villas. We are also currently seeking approval to develop a private airport to increase access to both our resort and the southern province of Ba Ria-Vung Tau. The Ho Tram Strip project will ultimately encompass several more hotels, an additional integrated resort, and unique entertainment attractions, making Ho Tram Strip a must-visit destination in Southern Vietnam, appealing both to local and international tourists alike. At Grand Ho Tram Strip, pricing for condominiums begins from $88,800. On what basis are you offering this price? We wanted to make Ho Tram Strip affordable to Vietnam’s rising middle class. A lot of developments in Ho Tram and all along the Vietnamese coastline focus on the premium end of the market. We wanted to open up Ho Tram Strip to more people and our pricing at Kahuna beginning at $88,000 reflects that. It is offering an investment opportunity with guaranteed returns, as well as a second home and special getaway to families in Vietnam. It is an opportunity to enjoy your own piece of a beachfront. Recently there seems to be a boom in the supply of vacation real estate. Is there a bubble waiting to burst? There is both an increase in supply and an increase in demand. As long as the demand is there, there is no bubble to burst. Also, our Kahuna is unlike any other product on the market in Vietnam. Where else but at Ho Tram Strip can you find the Number One Luxury Hotel in Vietnam, a golf course ranked within the top 100 in the world, numerous restaurants, and unique entertainment options that also include a world-class casino. And the best part of all, The Grand and The Bluffs are already built and operating. In May, the Ministry of Finance was given the authority to grant business licences for casino and gaming services, concretising the earlier issued Decree No. 03/2017/ND-CP on casino business. According to this decree, eligible investors wishing to invest and operate in services, tourism, and entertainment businesses with casinos must invest a minimum capital of $2 billion and submit plans to manage the negative impacts of casino operations. Such enterprises can operate a casino in a single location and this must be separate from other entertainment business areas. Does Grand Ho Tram Strip meet these requirements? Have you taken any steps to get the licence? We already operate a foreigners-only casino and previously served as the official pilot location for foreigners-only gaming. Our casino was built to international standards and meets all the requirements of the decree to continue offering foreigners-only gaming. The decree which became law in March 2017 also legalises gambling for locals. Accordingly, as the only integrated resort operating today, we have recently filed our application with the appropriate government authorities to be an authorised pilot for locals’ gaming as well. HTP has thus far deployed and committed over $1.1 billion of the total $4 billion investment it intends to put into the Ho Tram Strip project. What is the schedule for the disbursement of the remaining investment? The company has numerous construction projects going now, including The Beach Club, The Gallery Villas, and Kahuna. We are one of the largest employers in the province and expect to further expand our workforce in the near future as these additional developments come online. We have also submitted development plans to the provincial authorities to further build out the Ho Tram Strip project and we are fully committed to doing so over the next few years. With respect to our investment certificate, we currently exceed the chartered capital specified therein and are aggressively developing Ho Tram Strip which we believe will be a catalyst to further economic development in the province. As the largest foreign invested tourism project in Vietnam, we are fully committed to assisting the prime minister in achieving his stated goal of increasing tourism to 10 per cent of the GDP. A ‘wet lease’ refers to a short-term leasing arrangement whereby one airline provides an aircraft, a complete crew, maintenance, and insurance for another carrier. The opposite mechanism, dry lease, works in the longer term, with the aircraft leased without a crew or staff. All major Vietnamese carriers have confirmed to Tuoi Tre (Youth) newspaper that they have at some point launched services using the aircraft and crew members of other airlines. The practice is totally legitimate; however, passengers are often kept in the dark about the arrangement. Buying a ticket from Airline A only to be asked to board the plane of Airline B is something passengers can rightfully feel uncomfortable with. The unease may also be accompanied by anger and fear, especially when the wet-leased aircraft is old and belongs to lesser-developed airline, as some flyers have complained to Tuoi Tre. On June 5, Doan Thi Huong Thuyet, a resident of Ho Chi Minh City, came to Tan Son Nhat International Airport to fly to the north-central province of Thanh Hoa with low-cost carrier Vietjet. Upon arrival, Thuyet was stunned to see the plane she was about to board was not a Vietjet aircraft, but one bearing the Myanmar Airways logo. The passenger then asked a ground service attendant and was told that the Myanmar Airways aircraft was being wet-leased to Vietjet. Upon reaching her seat, Thuyet found iron bars exposed beneath her chair that were not fully coated. She called the chief flight attendant, who was Myanamarese, to complain, but the dialogue was unsuccessful given the language barrier. The passenger subsequently requested to change flights without an additional cost, but the request was rejected. A Vietjet representative later confirmed to Tuoi Tre that Thuyet’s account of what happened on her flight was accurate. The representative explained that Vietjet had wet-leased the Myanmar Airways aircraft to meet rising demand during the summer, admitting that the aircraft would always carry a Myanmarese cabin crew. He added that Thuyet had refused an offer to change her seat, causing the Ho Chi Minh City-Thanh Hoa flight to be delayed for 45 minutes. She was later asked to leave the aircraft to talk to the Southern Airports Authority, and eventually accepted a refund for her ticket, according to the Vietjet source. Many other Vietnamese passengers have complained that they find it uneasy to travel with a plane operated by an airline different from the one they have trusted and chosen to fly with. They feel uncomfortable when flying domestically with foreign attendants. Some are concerned about the flight quality and even safety, as most of the wet-leased planes appear old. “I can tell only by looking around that the Myanmar Airways plane is much older than Vietjet’s,” Pham T., another Ho Chi Minh City passenger who once traveled on a wet-leased aircraft, told Tuoi Tre. Tran Thanh T., a Hanoi resident, once bought a Vietnam Airlines ticket and was asked to board a Cambodia Angkor Air plane. “I felt uneasy as to why they had to wet-lease from such a lesser-known airline?” he said. T., the Ho Chi Minh City flyer, also said Vietnamese carriers should look to airlines in developed countries for their wet-lease agreements. A Vietjet representative confirmed that the budget carrier is wet-leasing three planes, one from Bulgaria’s BH Air and two from Myanmar Airways, for the next two or three months. “The wet-lease contract is much costlier than dry lease and the quality of the airplanes is all certified by the Civil Aviation Authority of Vietnam,” the representative reassured. The Jetstar spokesperson said the quality of the flight on wet-leased aircraft is always ensured. “The difference, if any, is whether the [Vietnamese] carriers are willing to lease new planes or not,” he said. National flag carrier Vietnam Airlines has confirmed it is offering services with one aircraft wet-leased from Cambodia Angkor Air from now until the end of this year. 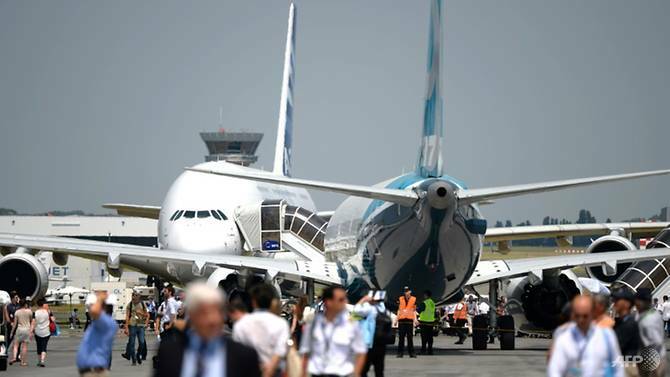 Vo Huy Cuong, deputy head of the Civil Aviation Authority of Vietnam, said it is normal practice for airlines to wet-lease aircraft and the quality of the planes in question is carefully vetted by the country’s aviation watchdog. Cuong added, however, that airlines must inform passengers beforehand that they are going to fly in a wet-leased plane. The outcome was announced at a press conference after the APEC High-Level Policy Dialogue on Sustainable Tourism held in Hạ Long City, in the northern province of Quảng Ninh. The dialogue was one of the many events being held this year in Việt Nam, which is host to APEC 2017. Speaking at the press conference, Deputy Minister of Culture, Sports and Tourism, Huỳnh Vĩnh Ái, said the one-day dialogue was comprehensive and successful with 32 contributed opinions, including 14 from international and regional organisations. Ái noted that the statement acknowledged that sustainable tourism development was a continuous process that required constant impact monitoring; introduction of preventive or corrective measures when necessary; and full consideration of its current and future economic, social and environmental implications; while addressing the needs of visitors, the industry, the environment and host communities. “The statement this year achieved high consensus from all APEC member economies attending the dialogue, which recommends economies develop sustainable tourism, not only in term of the environment but in a comprehensive context, including social and economic development, employment for low-income people and support for small enterprises,” Ái said. Alan Bollard, executive director of the APEC Secretariat, praised Việt Nam’s hosting of "very energetic" APEC 2017 events. 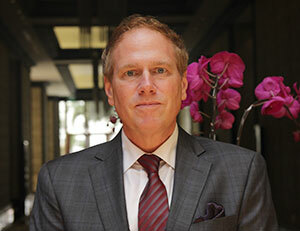 “APEC is very large and covers many economic areas. We are working to improve regional economic integration, trade and investment, human capacity building and development across the 21 economies of the APEC region,” Bollard said. “We are doing it all with one aim in mind that is to improve the living standard of people. In that context, we are very pleased to see this dialogue was held in Hạ Long, which is an important part of Việt Nam’s hosting of APEC this year, which has a core part of APEC work over the last few years,” he said. The APEC Secretariat official said that the statement adopted at this high-level policy dialogue had made progress by clarifying the statement issued last year in Lima, Peru. Earlier at the opening ceremony of the dialogue, Minister of Culture, Sports and Tourism of Việt Nam Nguyễn Ngọc Thiện stressed that Việt Nam looked forward to discussions with ministers, heads of delegations and delegates from APEC on the challenges to sustainable tourism development to share information and experience with economies and set forth co-operation orientations for APEC’s sustainable tourism development in the future. The Vietnamese minister stressed that as the world today was witnessing swift and profound changes, APEC’s tourism sector was faced with many opportunities, but also challenges. “The fourth industrial revolution is forecast to create major changes for the world as a whole, and for the tourism sector in particular. It is imperative that we pursue sustainable tourism development in terms of economy, society, culture and the environment,” he said. “Towards that goal, we will need to work together to ensure socio-economic benefits for all, including stable jobs and income, reduced poverty, uphold traditional values, increased cultural exchanges and understanding, protection and conservation of biodiversity and environmental resources,” he added. 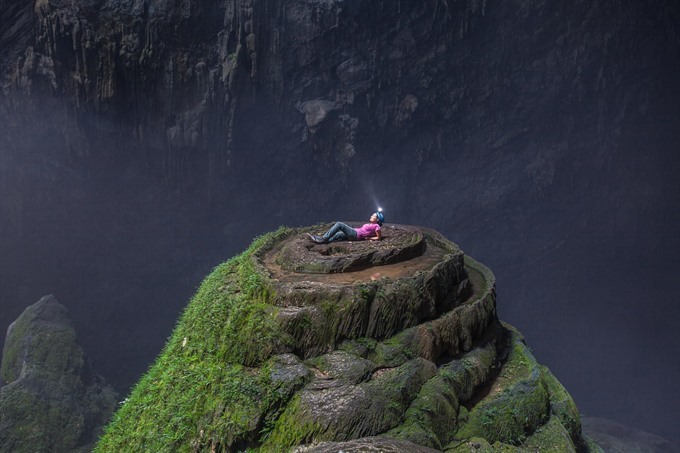 Thiện said Việt Nam’s tourism sector had seen robust development in recent years and was aiming to welcome 17-20 million international tourists annually, contributing some 10 per cent to the GDP by 2020. “Nevertheless, we are faced with enormous challenges during this development to ensure economic, social and environmental sustainable development. More than ever, international co-operation to cope with common challenges is becoming a prerequisite to ensure sustainable and inclusive development for people and businesses,” he said. Welcoming guests and delegations to Hạ Long, chairman of Quảng Ninh Province’s People’s Committee Nguyễn Đức Long said that regarding sustainable tourism, Quảng Ninh was tasked with both developing mining and protecting the environment, particularly that of Hạ Long Bay to promote tourism development, concurrently with speedy and sustainable urban development. “Quảng Ninh has clearly identified the challenges that it must overcome such as quick urbanisation with ensuring the quality of the living environment, between sustainable development and the negative impacts of climate change and rising sea level,” he said. “With the view of developing quality, international standard tourism that stands out but is sustainable, Quảng Ninh is particularly interested in preservation and promotion of Hạ Long Bay – a world natural heritage site, as well as protection of the environment, creating an environment worth living for citizens and tourists,” Long said. During the event, representatives will discuss and share experiences to promote the sustainable tourism development policy in the Asia-Pacific region. The event also consists of a dialogue with the APEC business community on sustainable tourism development. Tourism has always been one of APEC’s co-operation priorities since its establishment in 1989. According to the World Travel and Tourism Council, in 2016, tourism generated US$1.3 trillion for APEC members’ GDP, directly created 67 million jobs and helped the region’s 6.1 per cent export growth. According to an APEC Policy Support Unit (PSU) report, every one per cent growth in tourists numbers help reduce 0.12 per cent the number of poor people in the region. Tourism is also a major part of economic growth, for every 10 per cent growth in tourist in APEC departure economies, exports will grow by 1.2 per cent and imports 0.8 per cent in each destination economies. Tourism is forecast to be one of the fastest growing sectors in the region, currently becoming an economic pillar in some economies, and making important contributions to others’ economic growth. This is among the key drivers promoting inclusive, innovative and sustainable growth, helping to improve people’s livelihood and regional prosperity. In 2016, Việt Nam hosted the fourth APEC Tourism Ministerial Meeting in Hội An, which adopted the “Hội An Declaration on the Promotion of APEC Tourism Co-operation.” The country has also regularly and actively participated in most important activities of APEC tourism cooperation and promoted bilateral ties with APEC member economies. To date, Việt Nam has exempted entry visas for nine APEC member economies and implemented electronic visas for three other countries. The top 10 source markets of Việt Nam in 2016 are APEC member economies. Chickens come home to roost: An abandoned multi million dollar resort on Cửa Đại Beach. Its white sand and pristine blue water made it a popular destination among tourists. However, the beautiful beach has been threatened by coastal erosion in recent years. The rate of erosion has been rapid, with a yearly average of 10-15m with 2,000m in length, according to experts at a national conference discussing saving Hội An’s coastal area. The once-beautiful beach is now marred by thousands of sandbags. The local tourism industry now faces various issues to attract investment and visitors. 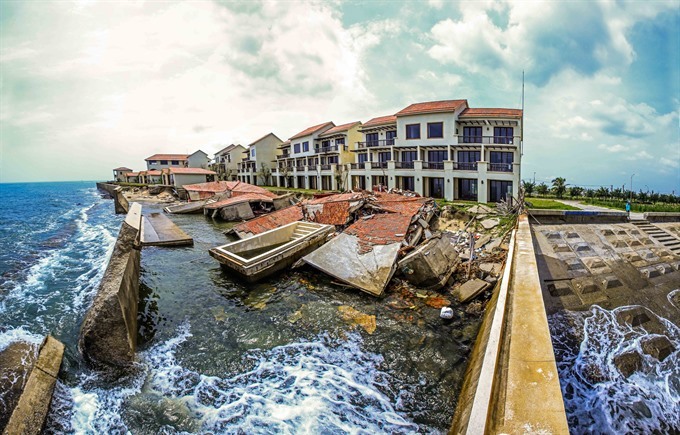 Even multi-million dollar resorts and hotels have been abandoned, with many slowly falling into ruin as the sea swallows large swaths of land. Despite local authority’s efforts to stop the erosion by installing concrete dykes, the establishment of hydro-dams in upstream rivers, climate change and illegal sand dredging in local rivers pose serious threats to the existence of the beach. Environment and climate change experts have recommended a complete ban on local sand mining and the construction of an underwater dyke to help save the beach. Green culture: Hydroponic vegetable and fruit farm tours are popular among local and foreign travellers visiting Lam Dong Province’s Da Lat City. Plant seeds are placed in a mixture of coconut fiber and rice husks, and since they provide no nutritional value, they allow the plants to absorb only nutrients filtered from liquid pipes. Compared to traditional cultivation, hydroponic plants do not require weeding or fertilising, thus saving time. High-tech green products were originally meant to be sold in local markets and other distribution channels, but most of them are now sold directly to visitors at farms, Le Quoc Dung, a local resident, told Sai Gon Giai Phong (Liberated Sai Gon) newspaper. Le Quoc Duc, owner of the Duc Tin hydroponic vegetable garden, said that he sometimes can sell 100 kilos of products from visitors who pick the vegetables themselves. “Opening my garden for tourists for free benefits both of us. Visitors can learn about how plants are grown in a safe environment and I can earn extra money for my family,” he said. Many visitors say they prefer picking vegetables from the fields instead of buying them from farmers, Le Huu Phan, a resident of Ward 9, said. Phan, a farmer and tour guide, shows visitors around his 3,000 sq-m farm daily, which consists of rows of black tomatoes and cherry tomatoes and 100-kilo pumpkins, among others. 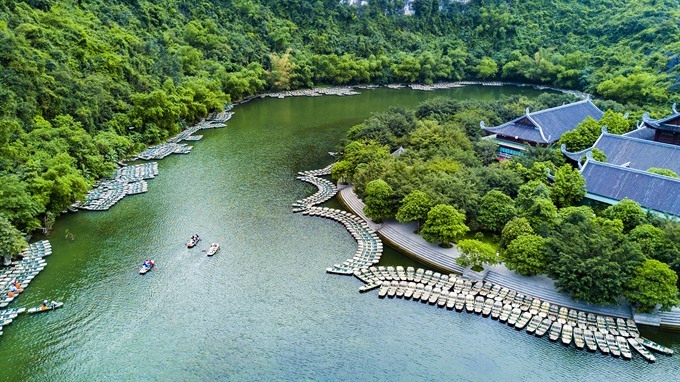 His family was one of the first to join the Xuan Huong Agrotourism Village, a project managed by Lam Dong Province’s People’s Committee to boost tourism. Hydroponic farms in Da Lat typically attract hundreds of visitors daily and up to 1,000 people on weekends. “During the holiday period, my family’s garden welcomes up to 4,000 visits,” said Nguyen Van Duong, who has a one-hectare hydroponic farm in Ward 5. Dozens of farms have adopted hydroponic methods and produced a variety of signature vegetables and fruits in an effort to enhance tourists’ experiences. Phan Thu Huong, 29, a tourist, said that she had previously purchased fresh vegetables grown in Da Lat. “It’s more fascinating to visit high-tech farms and see for myself how the vegetables are taken care of,” she said. With farmers as tour guides, the experience for tourists is fun and authentic. Diem Thuy, 22, said that she had fallen in love with Da Lat more than ever because of her experiences, including being involved in seeding and picking ripe vegetables. She said she would recommend the city to like-minded people who enjoy “tourism with a twist”. “I’ve never missed visiting a place more than Da Lat. I got to travel to famous attractions, feel the city’s vibe, and experience locals’ lives,” she added. Even so, experts have said that professional agro-tourism services should be launched to promote Da Lat tourism. Hoang Ngoc Huy, an official from the provincial Department of Culture, Sports, and Tourism, said the city wanted to offer hospitality and tourism courses to farmers to help them understand tourist demand and create better services. Launching homestay services in hydroponic farms would be another example of a new tourism service. More agro-tourism villages are expected to open in Da Lat as well as other districts in Lam Dong Province, including Duc Trong, Lac Duong, and Don Duong, according to Nguyen Thi Bich Ngoc, deputy director of the provincial Department of Culture, Sports, and Tourism. Together with conventional attractions such as Love Valley, Truc Lam Temple, Da Lat Flower Garden and Cam Ly Waterfall, among others, the new services are expected to draw more local and international tourists to Da Lat and other districts in Lam Dong.